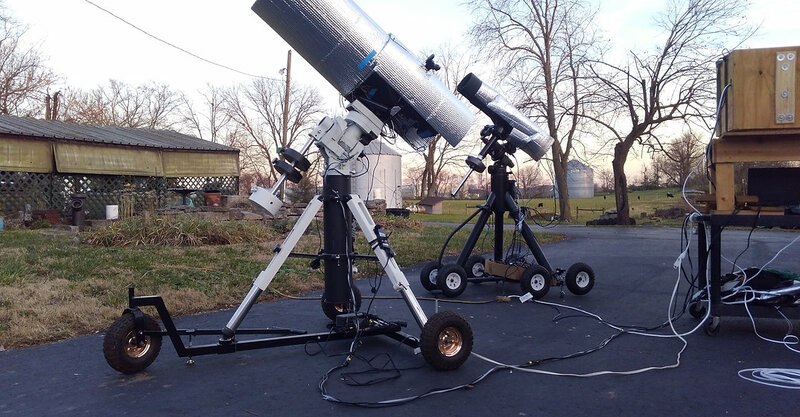 I want to say right up front that Prism 10 software is the best software I have ever used in my observatory. The price tag of the Prism 10 Advanced version is only $499 and was the best spent money in my 25 years’ experience in astronomy and astrophotography. I was relying on multiple pieces of software in the past all running at the same time and bogging down my computer! Prism 10 Advanced has now replaced ALL my software I was using to take CCD images that have been published multiple times in several magazines. This software is so amazing in so many ways I am not sure even where to begin first to tell you all! But one thing for sure, it has streamlined ALL my processes to achieve publishable images in a very short setup time per evening. One of its greatest features is being able to automate my observatory in a very precision way. I never dreamed that being automated would be so easy. I actually for the first time using Prism 10 Advanced was able to completely run an automated program from beginning to end. I achieved image targets with precision guiding and I never even opened the door to the observatory! It was all done from my house via the internet! If I had to pick one thing that really stands out with Prism 10 Advanced, it is the time it has saved me to acquire targets, image, and move on to the next. I save at least 2+ hours minimum EVERY evening by using Prism 10 software. I do not even do 2 star alignments or calibration stars anymore….Nada!!! One image shot and one plate solve later and I am ready for all night imaging. It is that simple, and it only takes me a few minutes after firing up the equipment to be imaging. Is this a dream?? If so….please do not wake me up! This is a great product with unbelievable expert customer service that is out of this world. I am talking about the kind of service that just does not send you emails or text with answers. I am talking about service on the phone, on team viewer, quickly and efficiently giving answers to my questions and making my system run the way I always dreamed about. I highly recommend Prism 10 software to all that want to save time and money. This is the best and fastest software on the market for astrophotography and automation in my opinion and is very affordable. Download it and see for yourself….you will become amazed very quickly. 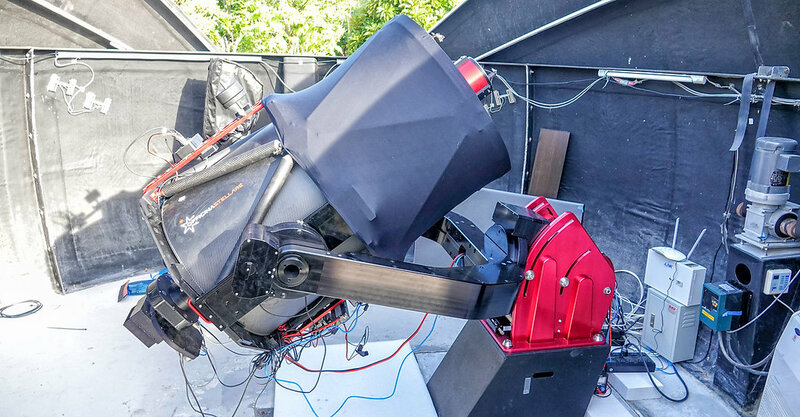 I operate a telescope system that consists of an OS RiLA 600, Taurus 600 mount,Optec Gemini Rotating Focuser and FLI PL16803 camera. In the past I used MaximDL, SkyX, and Pixinsight for processing. For scripting I often used CCD Commander. While Prism does have a learning curve, the convenience of all the functions I need under one roof far outweighed the effort involved in becoming familiar with the program. In certain area’s such as camera control including image stretch Prism is far ahead of the other options available. Given the extreme range of functions the product covers pretty much anything an astrophotographer would want to do, and does it well. I wanted to give my 2 Cents on the Prism 10 software. 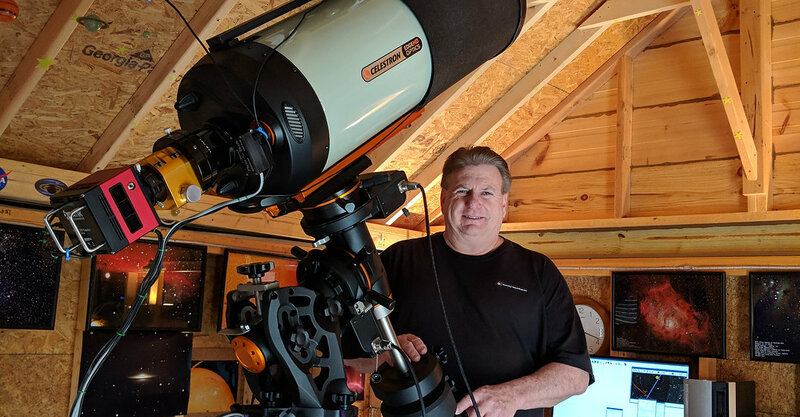 Short and simple: "It's the all around best" I own paramount, astro physics, celestron, and orion mounts and all the top end software that one can purchase to use them. I have the SkyX pro with the camera add on and the TPoint software. To augment this I have purchased CCD commander, CCD autopilot, ACP from DC3 dreams, and Maxim DL from cyanogen imaging. For the Astro Physics mounts I have the Astro Physics Command Center Pro. I have the CCD Ware suite. After several YEARS of struggling and in general poor technical support (I will say AP gives good support but, there software is extremely limited) I have yet to be able to automate my system/s. After urging from the folk at Hercules telecopes in Canada I took the plunge about 4 days ago and purchased Prism 10 Advanced. Tonight with the most amazing technical support I have ever experienced in 30 years of dealing with computers and software I ran my first automated image acquisition. The SkyX Pro with the T-Point and Camera add on was about $1,000.00. The CCD ware suite was about $1,000.00. Maxim DL pro was about $600.00, APCC pro was about $500.00. APC was about $1,200.00. CCD commander was about $100.00. The yearly subscription cost on the above for me has been over $600.00. The software noted above do not always play well together. Many upgrades bring about subsequent system failures on a frequent basis. You ALWAYS need to buy some other module to try to get the kids to play together. Aside from astro physics you will not get someone to answer a phone and spend time with you to work through a problem. 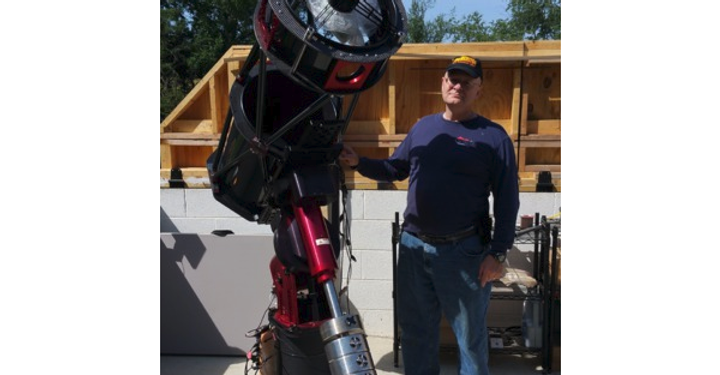 SO...... for $499.00 I was able to completely control my mount, imaging camera, guiding camera, filter wheel, cooler, internet based power system (currently I am working on automation for my Mach 1 Go To) and bring about automated image acquisition. I hope I am not dreaming...this sounds to good to be true...but, If I wake up and these last 4 days continue to be REAL I am going to be controlling all my AP, Paramount (with the skyx quietly running in the background), Celestron and Orion mounts and equipment with PRISM 10. I would encourage everyone who has been struggling in this area (and boy do I know a lot of folk who are) to consider this software. PS: I am endorsing this software not because I was paid to but, because I have paid out so much money and time on others that just did not deliver in so many ways. Until I found Prism, I had at least a dozen apps installed for observation; each good at one or two things but frustratingly incapable of anything else. Prism supports my Astronomy as a total end-to-end suite – it’s the only system I need. Prism handles my cameras, mount and even my weather station and brings powerful analytics to the table to help keep my OTA and sensors performing at their best. Support is phenomenal for Prism and Hyperion-Astronomy are subject matter experts. I will never install another software package... Hyperion-Astronomy has hit this one Out of the Park! There are quite a few reviews written by some really great astronomers. Here’s a few words from a newbie that tosses a bunch of equipment into the back yard and hopes for the best! I started astrophotography in early 2015 with a DSLR and a $200 goto reflector and found that I really enjoy the challenges of this fascinating hobby. I was intrigued by the ability to automate processes and started upgrading equipment so I could make it more efficient. Staying up all night just doesn’t mix well with a demanding day job and working a small farm. For me to be able to do any astrophotography at all, my system was going to have to be quick to set up and automated. All-encompassing astrophotography package. I haven’t yet found a desirable feature that Prism doesn’t have already built in. The biggest benefit to this is that everything works together in a very cohesive environment. We’ve all heard the saying ‘Jack of all trades, master of none’. Prism is one example where this saying just doesn’t fit. Of the features I’ve used so far, I’ve not seen a better alternative. Also, using multiple software packages for different hardware gets the job done, but has huge limitations when it comes to coordinating a whole night of imaging. Highly Technical. I’m extremely underqualified to have much to say about the vast array of analytical capabilities in Prism. I can only hope to grow up one day and understand and make use of half of the features! I’ve thought about this for quite a while and just can’t come up with any! I considered mentioning the learning curve here, but honestly don’t believe it would be any more difficult than learning any of the other similar packages. Considering that you may have to deal with multiple apps, and try to configure them to work together, Prism probably comes out ahead on this too.